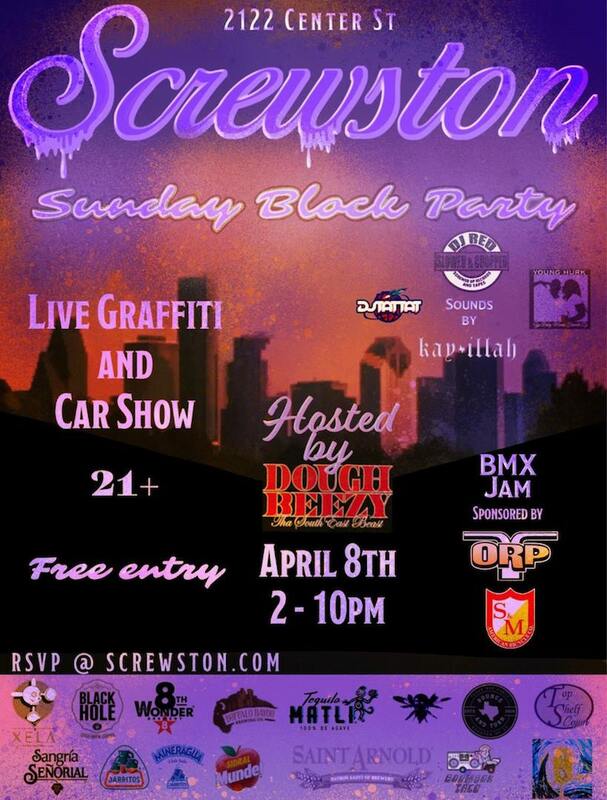 First up is the Screwston Block Party. Mr. Kareem Williams himself helped put this jam together from 2-4p at the block party event. 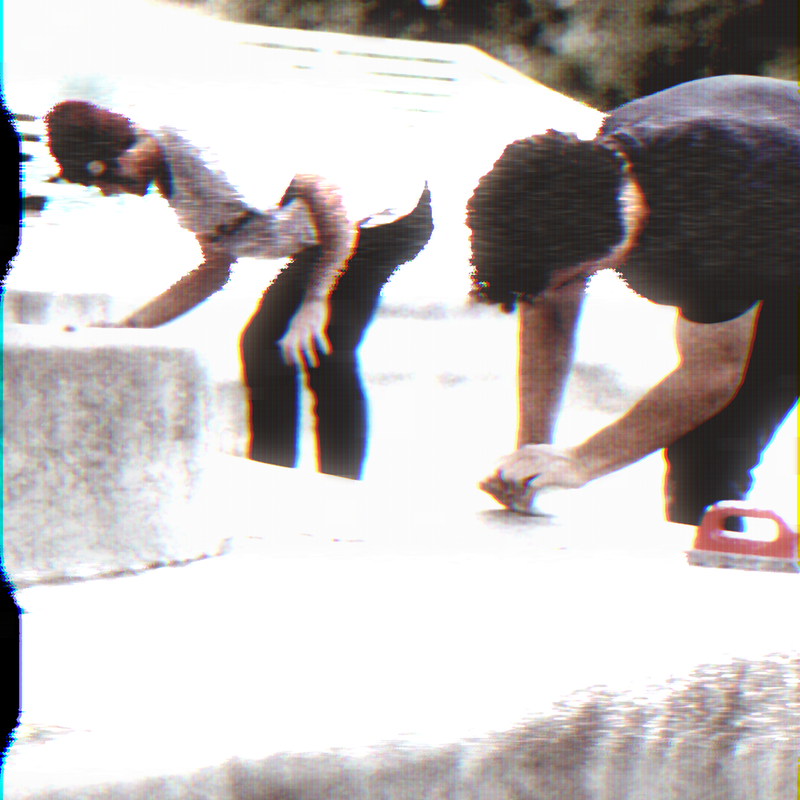 He told me that Chad McClain was going to be helping put together a vert wall, small grind box and flat rails similar to the Puck Puck Puck fest during SXSW recently. If you want to help out please hit up Chad McClain or Kareem to let them know you want to help out. There's going to be car shows, live painting, BMX jam from 2-4 and then later on if you RSVP prior to Sunday you get into the Screwston Records show where it looks like from their flyer they're going to be po'in up some Blackhole Coffee, Buffalo Bayou Beer & 8th Wonder Brewery so bring your ID's, your good vibes and get ready to celebrate all things SCREWSTON. Shouts out to ORP bike shop for helping make the event happen as well as sponsoring the event. After the BMX Jam at the Screwston Block Party we're hosting a jam just a few minutes North West of the Screwston Records warehouse. The I-10 bridge just North of the infamous Party Boy store has several fun jibs under neath it. Then, once we've sessioned there we're going to roll out to some near by spots and if anyone wants to go back up to the Screwston Block Party to partake in the festivities there will probably be a crew that's going to circle back so make sure to ask who's heading back to the free beer. We're going to park OUTSIDE THE PARKING LOT GATE OF PARTY BOY and then walk down to the bayou like Drew did in the video. Shouts out to Fletcher Bike Co and Montana Ricky @ madera for hooking it up with some products for the local shredders.